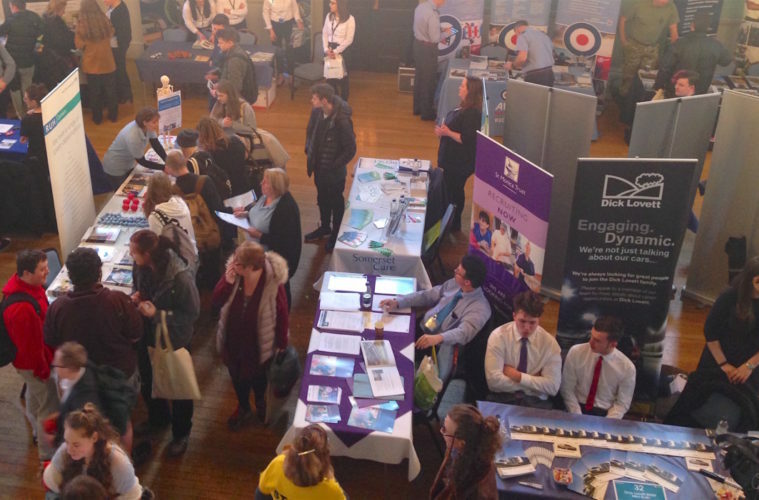 Over 1,000 young people will get the opportunity to meet potential apprenticeship providers and employers at Bath College’s annual Apprenticeships and Jobs Fair. The event is taking place at the Assembly Rooms on 27 March from 12-5pm, giving local businesses the chance to showcase their vacancies to local people. 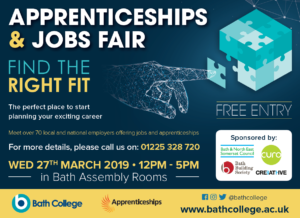 This year’s lead sponsors are Bath Building Society, B&NES, Creative Bath and Curo, all who will be found in the Octagon offering apprenticeship opportunities. Many attendees of the 2018 event went onto secure positions at local companies after attending and making the most of networking opportunities. Nick, from a Bath based company, took on an apprentice following last year’s Apprenticeships and Jobs Fair. He said, “Pivoting our recruitment strategy to apprenticeships has been a revolutionary shift for our company. 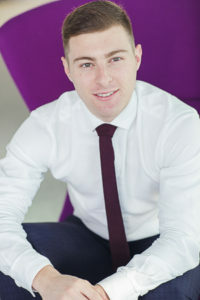 His apprentice, Oliver, added, “Having an apprenticeship has allowed me to not only work within my field of interest, but to earn money and develop my professional skills with a well reputed company. Apprenticeships offer a way to progress quickly in your chosen field, as Ryan Legge, Account Executive at Hayes Parsons found. Ryan completed his A Levels and decided on an apprenticeship rather than going to university. “I was keen to carry on my education but in a working environment, learning on-the-job and being paid, leaving the classroom behind. 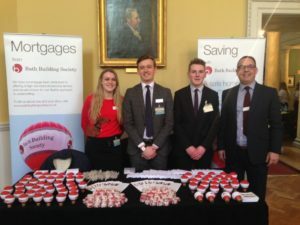 Ben King, a Bath College student and apprentice at Bath Building Society, said, “For me, an apprenticeship is better than going into a job from uni as I’m building my skillset now while I’m at college. To find out about apprenticeship opportunities in the local area and beyond, visit The Apprenticeships and Jobs Fair on 27 March, no registration required.